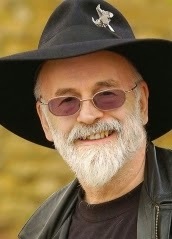 Like many others, I find myself deeply affected by the news today that Sir Terry Pratchett has died at age 66. It was so unfair, as it always is, that he was suffering from the effects of Alzheimer's. His diagnosis hit me hard too. That disease was going to ravage so rich a mind ... I wept then, just as I do now. That he kept writing up until the end is his triumph. Our world is a poorer place without him. This is the man who gave us the definition of the thaum, the basic particle/energy unit of magic. A thaum is the measure of magical energy required to produce three billiard balls or one live dove. This is a man whose last few tweets were his conversation with Death, who had always been one of his greatest characters. That he took the time to share how he pictured that moment, in the terms of the fantasy world through which most of us knew him, is a great gift from him to us, his fans. I, of course, heard Death's dialogue in my head in Christopher Lee's voice, with an appropriate amount of reverb. You can see why I love him. His early works were pulp pastiches of Conan tales, and as his career progressed, he crafted some of the best satires in the English language. More than 70 books, 40 or so of them in the Discworld. The BBC says his works have been translated into 37 languages and have sold over 70 million copies. Well done, sir. If you've not read any of his works, I recommend "Man at Arms" as a start. (Don't read them in order, please! Going back and catching up those early books is easy, once you've really gotten enamored of the world.) Then read "Small Gods." Then one of the books with the Witches -- "Maskerade," or "Wyrd Sisters" maybe. I don't think you can go wrong on that one. Hold off on reading "Interesting Times" until you've encountered Cohen the Barbarian in other books, so it'll make more sense. There are some short stories about with Cohen in them, too, I believe. I warn you, though, the end of "Interesting Times" made me cry. If you care about warrior culture, bravery, honor and loyalty, it will probably make you cry as well. I will miss his books, just as I will miss his opinions and his antics. The Discworld is one of those many fantasy realms in which I feel at home. And within that world, within the beautiful counterpointed structure of his satires, I often learned things. Things about life, and things about myself. Those characters are old friends. 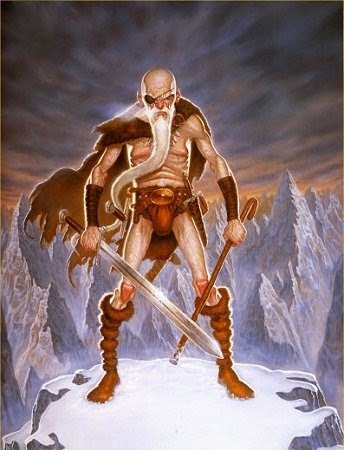 Sam Vimes and Corporal Carrot. Detritus, Nobby and Fred Colon. Gaspode. The Librarian. Rincewind, Twoflower and The Luggage. Death, Albert, the Grim Squeaker and Susan. Granny Weatherwax, Nanny Ogg and Magrat. And then Agnes and Tiffany. The Bursar and his frog pills. Brutha. The Great God Om. Mustrum Ridcully. HEX. The Nac Mac Feegle. The Hogfather. Cheery Littlebottom. Moist von Lipwig. Lord Vetinari. 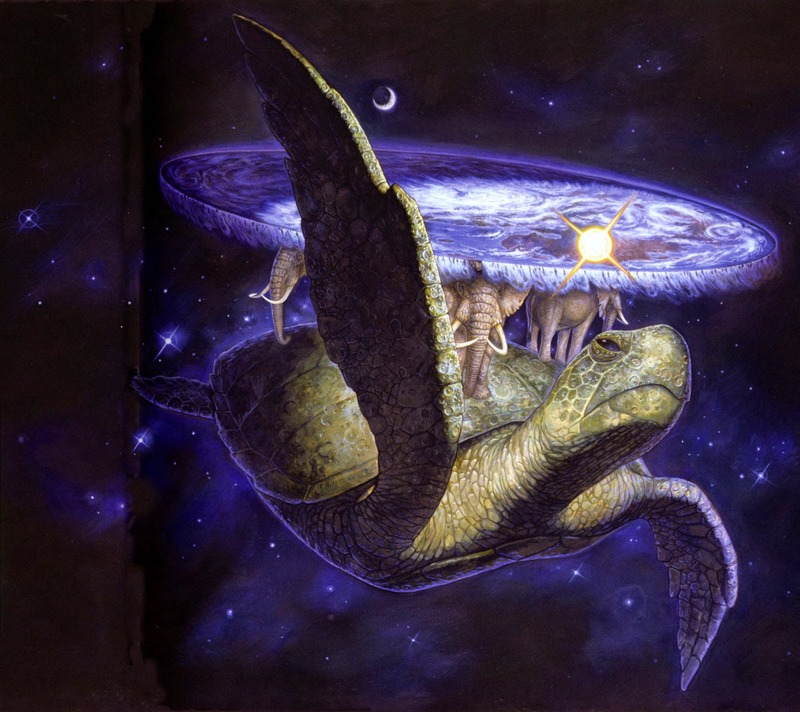 The Great A'Tuin. So many, many, many characters I know and love. Thank you, Sir Terry. For those of us who follow in your footsteps as scribes of our imaginations, may we populate our worlds as warmly and as well, and may they last as long. Thank you. So many people have been moved by his work. I just wanted to share some of what he's meant to me. A very nie tribute to the man and the author. I've tried to read his boks but failed every-time, maybe it's time to try again ? Thanks, Zabadak. There are several of his novels that I've started multiple times before really clicking in and usually reading them in one fell swoop. Might be worth a try, mate!